The green colour in your pool is algae, which contains the green pigment chlorophyll (conversely it is the green colour reflected). Hence the more algae your pool contains the greener your pool appears. Algae growth is normally prevented by a sanitiser, usually chlorine. 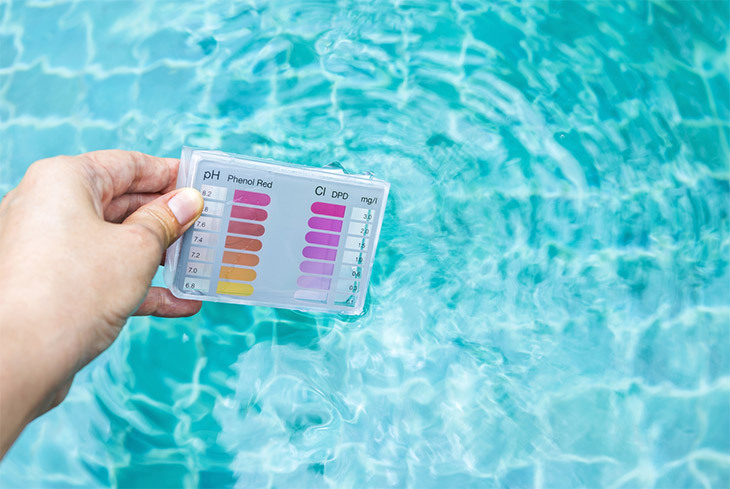 A fixed dose of chlorine will kill a fixed does of algae - however various conditions can spur algae growth and if your chlorine dose does not increase your pool goes green. Organic material such as leaves or grass clippings in the water that provide food for the algae. Fertilisers or Phosphates entering your pool - if your pool is surrounded by lawn or gardens. These again provide food for the algae. Warmer weather or sunlight causing an increase in water temperature will allow algae to grow at a faster rate. In a salt water pool salt (the compound "NaCl", sodium chloride) is added to allow chlorine to be produced. Sodium chloride, also known as salt or halite, is an ionic compound with the chemical formula NaCl, representing a 1:1 ratio of sodium and chloride ions. Hence when adding salt to a pool the sodium chloride splits into the 2 seperate parts – sodium and chloride ions. Chloride won't kill algae, it needs to be turned into chlorine to do this via the chlorinator in your pool usually by passing metalic plates and supplying a small electical charge that converts it into chlorine. 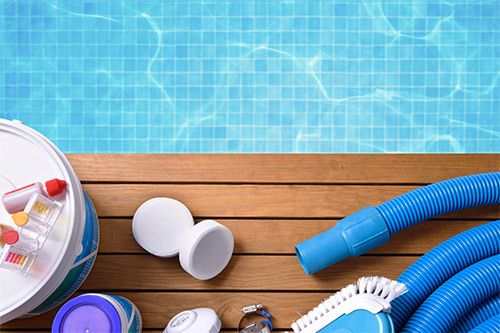 Chlorine is purchased in quantity and added directly to the pool manually or using a pump on a time clock. So as a pool owner you need to have sufficient quantities on hand and ensure it is delivered in a timely amount. There is the catch - how do you determine the right amount because the requirements are affected by weather, debris, pool use and if the pool is covered? The effectiveness, or the ability for chlorine to kill the algae is dependent on the pH which is very sensitive to changes. As the pH moves away from the optimum level the chlorine rapidly stops killing algae. The pH (alkaline acidity) has to be a level suitable for people - hence chlorine works in a zone acceptable by us. A green pool can be triggered by the pH moving away from optimal range. Hence we see pH pool testers are a part of the pool equipment you see above. Chlorine is broken down by the UV rays in sunlight so other chemicals "stabilisers" can be added to help maintain the right level of available chlorine. Again here is another variable the affects how chlorine does its work. It is possible to have your pool go green due to the stabilisers "locking up" chlorine. All of the above chemical reactions are happening whilst you are using your pool. Perhaps the question should be why wouldn't your pool go green given the variables we have identified. If you have a "green pool" you could contant us to get it sorted quickly and maintained year round.